EZVision brings your vehicle to our showroom and paints the picture of just how good your vehicle will look with upgraded wheels, such as the snowflake, honeycomb, split spoke, and many other types of wheels. Sure, there are a few sites out there that put wheels on generic pictures of a vehicle similar to yours. Our EZVision program allows your exact vehicle to get the look you want before purchasing. It’s simple! All you need is your vehicle and a camera, even cell phone cameras work. You start by parking your vehicle straight and standing directly in the front middle of your grill. 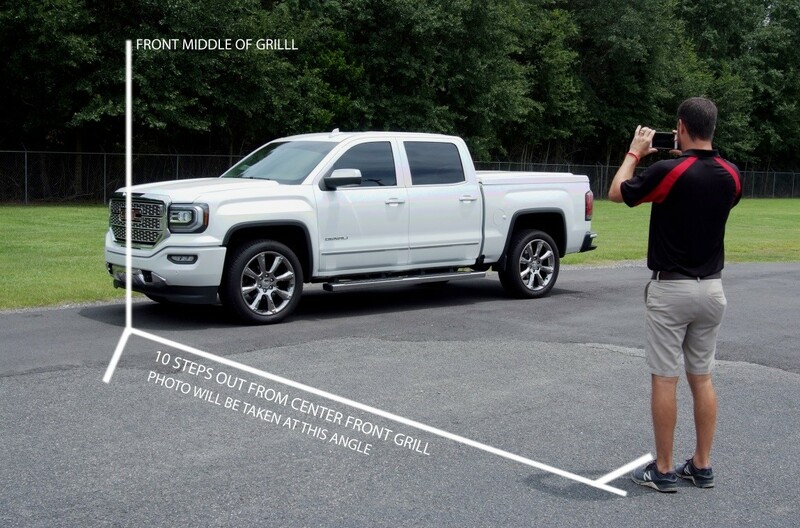 Take ten steps out to the side and turn back to the left looking at your vehicle. See the picture below for an example. Snap the picture and email to ezvision@ezdealin.com with the sku number or link to our website of the wheel you would like to see on your vehicle. Feel free to send up to three different styles you would like to see on your truck or SUV. 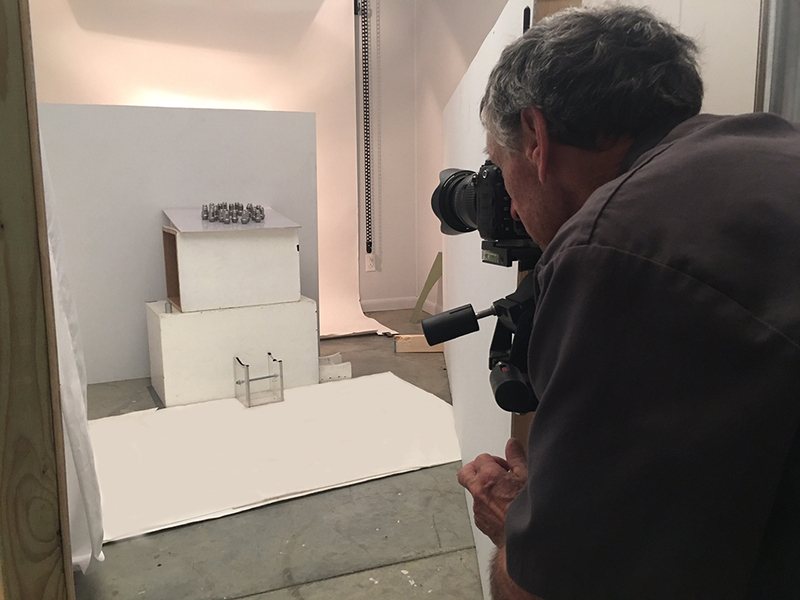 Within a business day or two, our expert imager will send you back your pictures so you can make your purchase from EZDealin with peace of mind. So get a Pic Before You Pick! Many companies won’t share their secrets. They have masked super heroes working behind the scenes in secret caves conquering the e-commerce world or in some cases, villains stealing pictures from other businesses or vendor’s websites. EZDealin is proud of our cape wearing, camera toting, superhero, Gordy Palmer. Gordy started with EZDealin in January 2017, not quite realizing exactly what he was getting into. Gordy soon realized photographing wheels and tires was like “taking a picture of a mirror without your reflection in it.” With many hours spent researching, Gordy created his own state-of-the-art studio here at EZDealin so that you the customer can see the quality and detail of our actual products that we proudly stock. Gordy, a native of Thomasville, GA began his passion for cars with his father who owned the Thomasville Drag Strip during the late 1950’s. In the early 1960’s, Gordy began helping his father doing construction work, developing his hard working characteristics that EZDealin sees in him today. In 1975 Gordy developed his passion for photography. For the last 42 years Gordy would likely be seen at many prestigious events around the Thomasville community capturing the beauty of nature, people, and the uniqueness of the South Georgia community. Tragedy struck in 1982 with a devastating fire at First Baptist Church of Thomasville. Gordy was heartbroken to see such a beautiful and iconic building up in flames but, along with Ed Kelly, delivered the tragic photo that appeared in that day's newspaper with the developing chemicals still dripping off the photo. That photo, while bringing the community to the gut wrenching realization that their beloved church was in ashes, rallied the community together stronger than ever. Gordy has devoted his life to helping others, traveling to Mexico to build orphanages and churches. This is one of Gordy’s proudest life accomplishments and considers it a blessing to be in a position to help others. In 2016, tragedy struck Gordy bringing his life of helping others to a halt. This time it was Gordy that needed the prayers of others as he was diagnosed with tonsil cancer. After a lifetime of being an achiever, who stopped at nothing to accomplish his goals, Gordy was faced with the fight of his life. Gordy battled last year with tests, treatments, long trips to hospitals, and a life on hold. But in true Gordy fashion he overcame the disease and as of his last visit in July 2017, GORDY IS CANCER FREE! Gordy feels as if God lead him to EZDealin during one of the toughest years of his life. 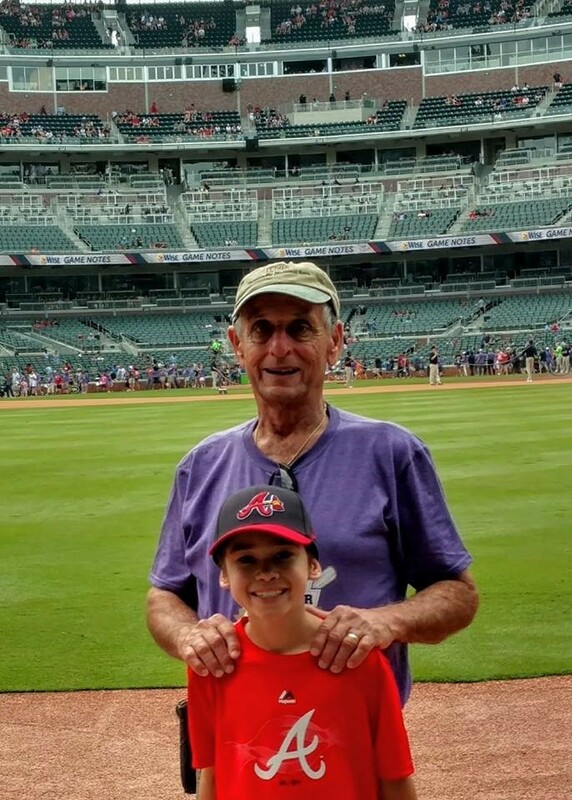 Cancer Free Celebration Day at the Atlanta Braves game in July 2017.